Mumbai, April 16: The Brihanmumbai Electricity Supply and Transport (BEST) is planning on introducing 80 electric buses based on wet-lease. The Bombay High Court has approved the proposal by BEST to start e-buses, reported The Times of India. 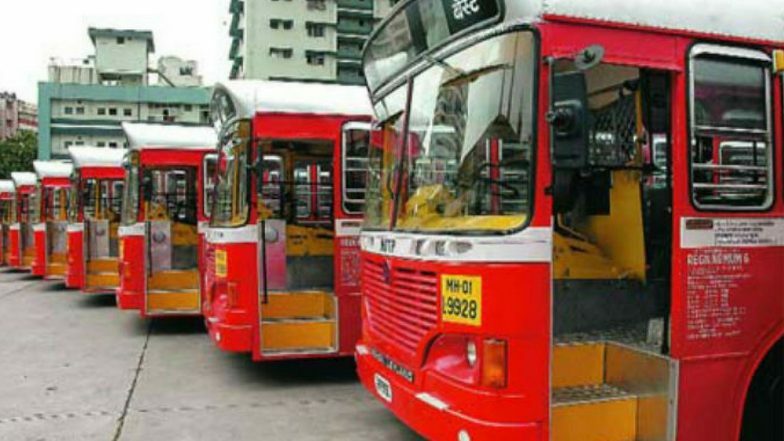 BEST Bus Strike to End Strike as Bombay High Court Directs Workers to Get Back to Work. The BEST committee was told by BEST general manager Surendra Kumar Bagade that Rs 40-crore subsidy will be granted to the BEST for the project by Union government. What this means is that the BEST will not have to incur the heavy expenses for purchasing the buses, which will help the already financially distressed BEST union in managing its expenditures. Recently the BEST had seen its biggest strike ever. The nine-day-long BEST bus strike had caused the daily commuters inconvenience as the buses stayed off the roads. During a hearing on a PIL on the strike at the Bombay High Court on January 16 this year, the BEST Workers’ Union agreed to withdraw the stir after accepting the ’10-step’ increment offered by the management of the civic-run Bombay Electric Supply and Transport (BEST) undertaking as an interim measure. Union leader Shashank Rao later addressed agitating workers and their families at Wadala Depot of the BEST and announced withdrawal of the strike. “We accepted the 10-step gradation pay hike before the court and agreed to resolve remaining issues through a mediator,” Rao said, reported PTI. The strike, which caused inconvenience to about 25 lakh bus commuters, was the longest-ever in the BEST’s history. Around 32,000 BEST workers were on strike for various demands, including pay hike, revision of the pay scale of junior-level employees and merger of loss-making BEST’s budget with that of the Brihanmumbai Municipal Corporation (BMC) so that the cash-rich civic body could shore up the BEST’s finances.